Looking for a condo on the water, well this is it! Don’t miss this one. This magnificent 1987 50’ Chris Craft has it all. She has been maintained by her owner throughout the years. As you approach this large vessel, you will notice the care she has been given throughout the years. 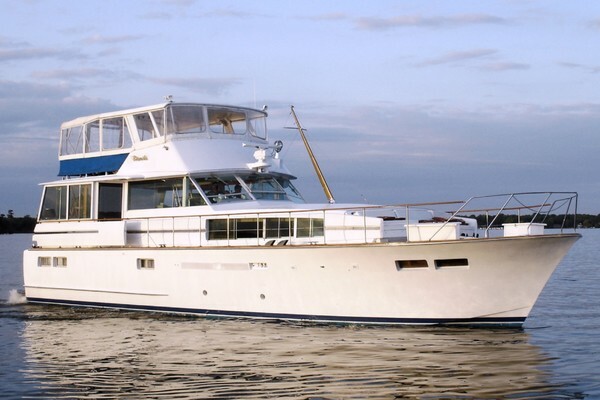 Step aboard this vessel and you will first enter the pilothouse that has all the goodies for navigation and comfort including a comfy captain’s seat and a raised couch for His or Her mate. Moving first to the aft section of the vessel, you will enter the large salon that offers a wet bar, desk, TV, sliding doors to her cockpit. In the mid-section of the salon you will see a spiral stair case that brings you to the VIP stateroom. Here you will be greeted by a king size bed surrounded by beautiful wood cabinetry. The VIP en-suite offers a tub with a shower, a beautiful vanity and sink and a commode. Going back up to the main salon moving forward again through the pilothouse you will step down to the galley area where you will find a full galley to prepare the meals of the day as well as a table and chairs to enjoy it. Moving forward to the bow is the first guest room that sports two bunk beds and a closet. There is the possibility to make the closet a third head. Moving aft to the pilothouse again there you will see steps to the third stateroom with a full size bed and beautiful wood cabinetry. Across the hall is the second full head area. Also in the hallway is the vessel’s washer and dryer. Moving aft again you will enter the large engine room where her main power and on board machinery is located for easy service. Moving back to the pilothouse is the ladder to the vessel’s huge flybridge from where she can be captained with unobstructed views. The flybridge offers full instrumentation as well as navigation aids. There is a cradle for the vessel’s tender which is a 9’6” Caribe hard bottom with a 9HP Mercury engine. There is an electric winch on the bridge for launching and retrieving the tender. As I stepped aboard with the owner, you can immediately notice his love for this vessel. This is his love! We moved thru the vessel as he pointed out different aspects of the vessel. Her large roomy salon with the comforts of home - the spacious pilothouse and the large VIP Stateroom with a full en-suite. Yes, this vessel has all the goods for traveling or a live-aboard for one person or a whole family. She is priced below market value for a quick sale as the owner is downsizing. Please bring all reasonable offers. 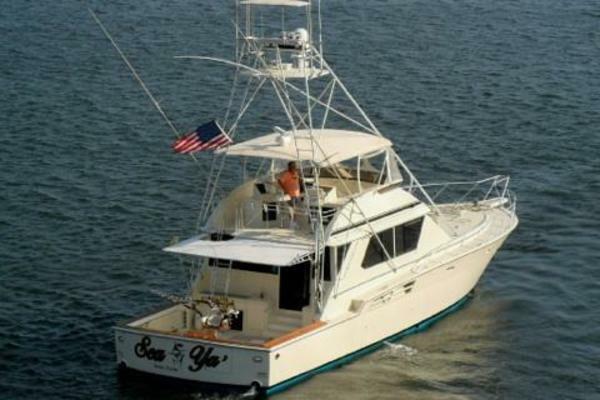 Our Chris-Craft listing is a great opportunity to purchase a very nice 50' 501 Motor Yacht. 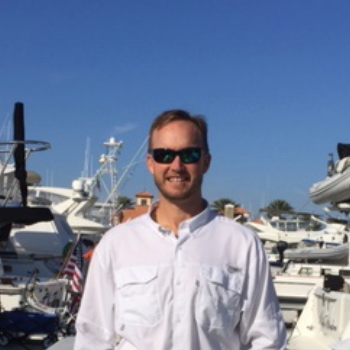 She is currently listed with United Yacht Sales broker Matt Mathews who can answer all questions about the boat for you. Please don't hesitate to reach out to our team of professional yacht brokers to schedule a showing. There are many yachts listed for sale on the MLS each with a different history. We look forward to helping you complete your search for the perfect boat or yacht for sale.